BULELA MANTAMBO was born on March 22nd 1979 at Nqamakhwe Administrative Area (Tshazibane Location). At an early age he moved to Butterworth to stay with his aunt, Mrs. N.L. Mantambo. He began singing in the Sunday School choir where his musical talent was discovered and encouraged by his aunt. At an early age he joined a local group and played a part in helping and assisting other singers. This gave him experience and played a major role in shaping his music career. 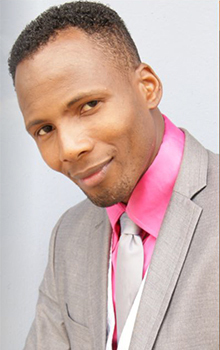 He has worked and recorded with many different groups, including BLESSED VOICES in Butterworth. At that time he formed his first male gospel group, SIMUNYE VOICES OF JOY. He later decided to pursue a solo career, recording his first album NDISWEL ‘IMILOMO in 2004. This was produced by M. Ganyaza of M & B Studios. In 2006 he released his second album, BAZOBONAKALA, working with Mama Lusanda Moinga and Sibongile Gece. His third album UYATSHA was released in 2009 and has done very well. BULELA has played a role in many people’s lives both physically and spiritually. This includes visiting and encouraging those afflicted by impairments and infirmity. It was not an easy journey, but he put his trust in God and managed to overcome all obstacles. He has also worked as a composer and producer with several upcoming young artists and this is something he will continue to do. He believes that his success cannot be maintained without the prayers and support contributed by colleagues, friends and family members, and he has never stopped thanking God for everything that has happened in his life. One of the most important days of his life was November 29th 2008, when he performed with several South African Gospel giants such as HLENGIWE, LUSANDA and NCANDWENI at the Cell C Gospel Festival. To his surprise he was nominated among the Top 5 artists of the day. His next album THANDAZA UNGAYENKI was released in April 2010 along with a DVD of all his most popular songs, simply called COLLECTION. Then, in June 2012, the DVD of THANDAZA UNGAYEKI was released with a new CD, ELAM LIKHONA. The lastest album from BULELA M is ICULO LAM, out in December 2013. BULELA M is very popular on radio stations around the country and has made numerous TV appearances including the top shows GOSPEL GOLD and GOSPEL TIME. These CDs and DVDs are distributed and part marketed by REVOLVER RECORDS.